FORMUFIT 1-1/4 in. 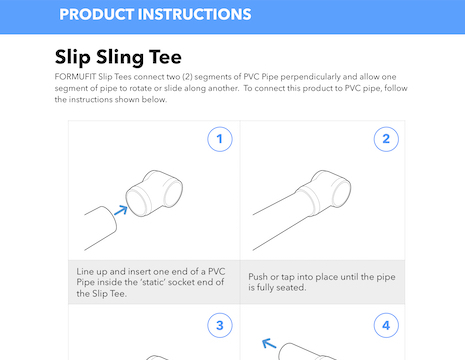 Slip Sling Tee Fittings lets you create rotating mechanisms from PVC pipe. 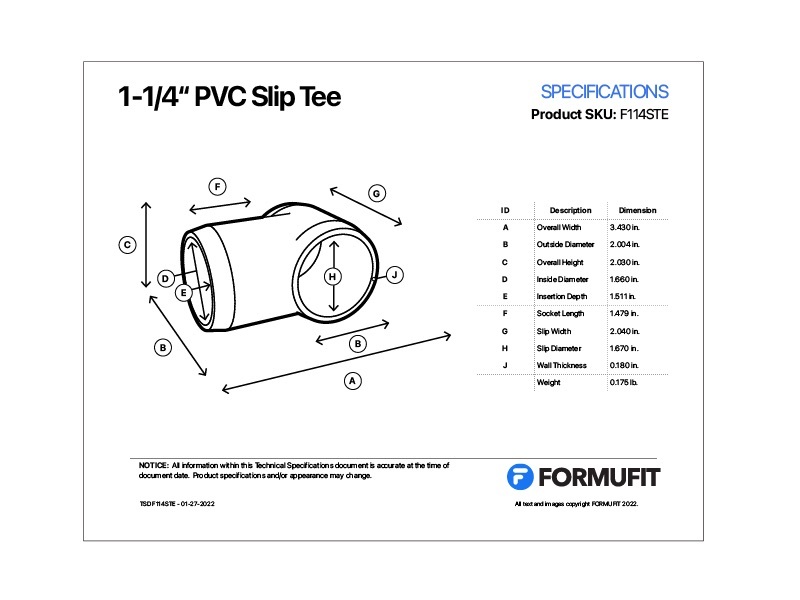 This Slip Tee connects a PVC pipe into the socket, while another 1-1/4 in. PVC pipe is allowed to slip through perpendicularly, creating a hinged apparatus. There are two sockets, one for the insertion of a static pipe, and another that is a pass-through for a moveable pipe segment. 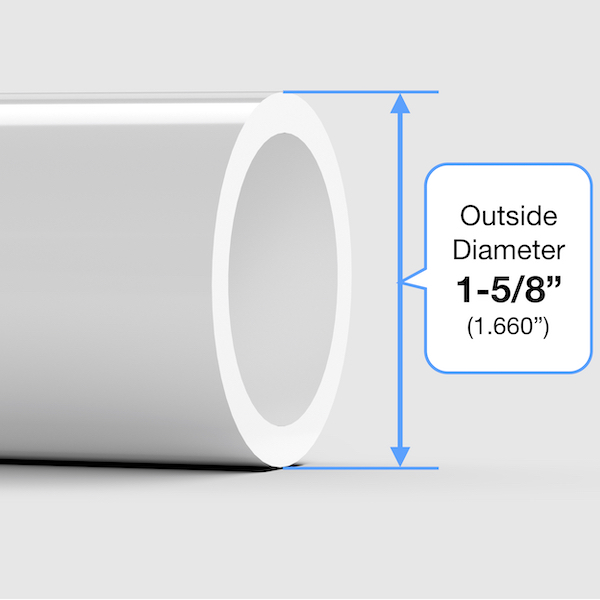 Fits externally over 1-1/4" Size PVC pipe, which has an outside diameter of 1-5/8" (1.660"). Extra deep socket allows further pipe insertion into the fitting for a more secured, stronger hold. Tapered ends on the socket end to allow a smooth transition from the pipe to the fitting. Won't snag clothing or pet hair like plumbing grade PVC fittings. This product will fit 1-1/4” Size PVC pipe, which has an outside diameter of 1.660” (1-5/8”) and an inside diameter of approximately 1-1/4“. See our PVC 101 section for more info.